I’m so pleased, I’m sharing another excerpt, from the essay Characters in Conflict. A strong story needs conflict. But conflict doesn’t just come from dramatic things happening. It comes from the character — what he or she needs and wants, and why he or she can’t get it easily. Let’s start with a premise for a short story for children: a kid has a math test on Monday. Exciting? Not really. But ask two simple questions, and you can add conflict. Why is it important to the character? The stakes should be high. The longer the story or novel, the higher stakes you need to sustain it. A short story character might want to win a contest; a novel character might need to save the world. Why is it difficult for the character? Difficulties can be divided into three general categories, traditionally called man versus man, man versus nature, and man versus himself. You can even have a combination of these. For example, someone may be trying to spy on some bank robbers (man versus man) during a dangerous storm (man versus nature) when he is afraid of lightning (man versus himself). For our kid with the math test, here’s one example: It’s important because if he doesn’t pass, he’ll fail the class, have to go to summer school, and not get to go to football camp, when football is what he loves most. Assuming we create a character readers like, they’ll care about the outcome of this test and root for him to succeed. Our football lover could have lots of challenges — he forgot his study book, he’s expected to baby-sit, a storm knocked out the power, he has ADHD, or he suffers test anxiety. But ideally we’ll relate the difficulty to the reason it’s important. So let’s say he has a game Sunday afternoon and is getting pressure from his coach and teammates to practice rather than study. Plus, he’d rather play football anyway. We now have a situation full of potential tension. Let the character struggle enough before he succeeds (or fails and learns a lesson), and you’ll have a story. And if these two questions can pump up a dull premise, just think what they can do with an exciting one! As this exercise shows, conflict doesn’t just come from the plot. It comes from the interaction between character and plot. You can create conflict by setting up situations which force a person to confront their fears. If someone is afraid of heights, make them go someplace high. If they’re afraid of taking responsibility, force them to be in charge. You can also create conflict by setting up situations that oppose a person’s desires. Sometimes these desires are for practical things. In my middle grade mystery set in ancient Egypt, The Eyes of Pharaoh, the main character is a young temple dancer whose one goal is to win an upcoming contest. When her friend disappears, she has to decide if winning the contest is really more important than helping a friend. A character’s desires can also be more general, related to the way they want to live. 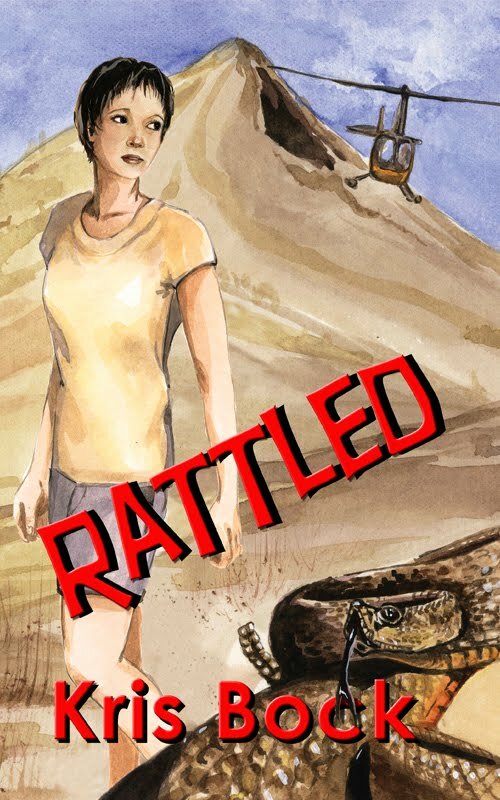 In my adult romantic suspense novel, Rattled (written as Kris Bock), Erin likes her adventures safely in books. 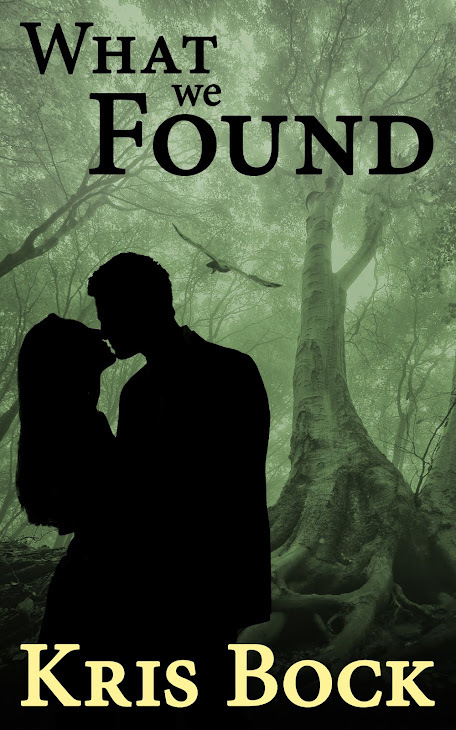 But when she finds a clue to a century-old lost treasure, she’s thrust into a wilderness expedition full of dangers from wild animals, nasty humans, and nature itself. If you have a character who craves safety, put her in danger. But if she craves danger, keep her out of it. Even with nonfiction, you can create tension by focusing on the challenges that make a person’s accomplishments more impressive. 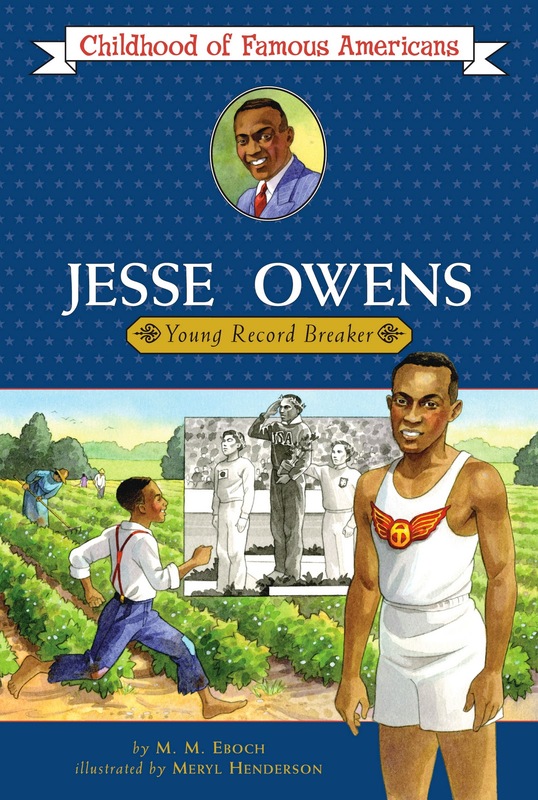 In JesseOwens: Young Record Breaker (written as M. M. Eboch), I made this incredible athlete’s story more powerful by focusing on all the things he had to overcome — not just racism, but also childhood health problems, poverty, and a poor education. I showed his successes and his troubles, to help the reader understand what he achieved. Some writers start with plot ideas and then develop the character who’ll face those challenges, while others start with a great character and then figure out what he or she does. Regardless, remember to work back and forth between plot and character, tying them together with conflict. 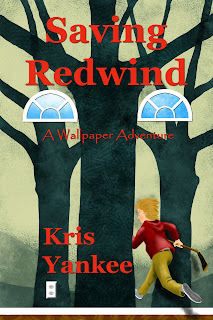 Today I'm chatting with Kris Yankee, author of the middle grade fantasy novel Saving Redwind. CE: Tell us a little about Saving Redwind. KY: Saving Redwind is the story of a young boy who is called to do great things in a world that exists inside his bedroom wallpaper. CE: Saving Redwind is subtitled “A Wallpaper Adventure.” I never thought of wallpaper being particularly adventurous. How did you come up with this idea? KY: The idea came to me while stripping ugly wallpaper from my oldest son’s bedroom wallpaper. We had just moved in and I had never really lived in a house with wallpaper. I started to think about that old saying, “If walls could talk…” and the idea just came to me. CE: How did you develop your fantasy world? Do you have any tips for readers who write fantasy? KY: I drew a map of the Redwind so I could remember where things were located. I looked all over the internet for pictures of how I thought the land and the houses/castles would look like. I’m a visual person and not at all creative with drawing. I love Robin Hood, and I sort of made the land the same, but different. World-building is a huge part of fantasy. I suggest that writers really take their time when creating their worlds. I know there are online world-building courses, perhaps take one of those. CE: When Nick is in the normal world, he has to deal with everyday concerns such as an annoying little sister, a largely absent father, and hockey practice. Why did you choose to include these real-world challenges in your fantasy novel? KY: Being a kid is busy and hard these days, and I wanted my main character to be a kid that others could identify with. Aren’t all little sisters annoying? :-) Many parents work jobs that take them out of the home (or even state) for periods of time, and all of my books involve some sort of hockey element. I know all kids don’t play hockey, but I believe that there are a lot of life lessons that can be learned from team sports. CE: You also co-authored a children’s picture book, Tommy Starts Something Big: Giving Cuddles with Kindness. What was it like working with somebody else on a picture book? Would you work with the co-author again? KY: I loved working on Tommy. I was a lot of fun bouncing ideas around with someone else. Of course I’d work with Chuck again. He has a lot of great concepts and is just a wonderful human being! CE: How long have you been writing? How did you develop your skills? How did you know you were ready for publication? KY: I’m not one of those authors who says, “I’ve been writing my whole life.” I can say that I’ve been reading that long. I’ve always been a reader. It took me a lot longer to realize that I was also a writer. I didn’t take myself seriously until 2004. I realized, though, that I needed help – I couldn’t remember much from any of my writing classes! I enrolled in a few online writing courses, became friends with Bonnie Hearn Hill (who became my mentor) and learned a great deal from her. After placing in a writing contest, I figured I was close to publication. It took me a long time to find an agent. 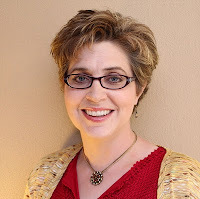 I didn’t sign with Christine Witthohn of Book Cents Literary Agency until Jan. 2008. I’ve been working hard to produce manuscripts that she can sell. Hopefully that will happen soon! CE: Where can readers learn more about your books? 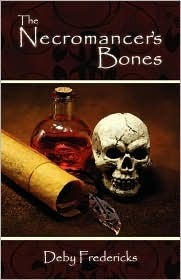 KY: To learn more about me and my books, please visit the Books tab of my website, or my blog. Thanks so much for hosting me, Chris! Kris Yankee is a freelance editor and writer. When she’s not sitting at her desk creating stories or editing someone else’s work, she can be found walking her dogs or perhaps sitting in the ice rink, cheering on her oldest son. Kris co-wrote the 2011 Eric Hoffer Honorable Mention for Children’s Picture Books, Tommy Starts Something Big: Giving Cuddles for Kindness with TV Personality, Chuck Gaidica. Here’s part three of my essay on cliffhangers. Get the whole essay, along with lots of other good stuff to make your manuscripts stronger, in Advanced Plotting. If you don’t have an action novel, you can still have dramatic chapter endings, whether or not the characters are in physical danger. In a young adult romance, for example, the drama may come from social humiliation at school and awkward or exciting moments with the love interest. Play up those moments for maximum effect. Mother’s smile vanished. “But, Serena, how can I help? The Cruelty won’t even let me care for my own children.” She raised her face to mine. “Look at me. I can hardly help myself, daughter. How can I help you? This works as a cliffhanger because the response is a challenge to Serena’s expectations and hope. What will she do now? The reader will turn the page, wanting to know. They worked out a plan. After Pres left them to sleep, Ariel and Zeke only lay back and gazed at the ceiling. His toes, warm against her calf, seemed to say all that was needed between them. This night in a real bed would be the last for a long time to come. This looks towards the future, reminding the reader that their troubles are not over. Cliffhangers are a powerful tool to build suspense. Choose a dramatic moment, expand the moment with sensory details for drama, and use short paragraphs and sentences for impact. You’ll keep readers turning the page. Buy Advanced Plotting for $9.99 in paperback on Amazon or as a $2.99 e-book on Amazon or Smashwords. My car picked up speed as it rolled down the steep hill. The light at the bottom turned yellow so I stepped on the brakes. The car didn’t slow down. The light turned red as I pressed harder, leaning back in my seat, using my whole leg to force the brake pedal toward the floor. My car sped toward the intersection while other cars entered from the sides. I sailed into the intersection, horns blaring and brakes squealing around me as I passed within inches of two cars coming from each side. My car picked up speed as it rolled down the steep hill. The light at the bottom turned yellow. I stepped on the brakes. The car didn’t slow down. I pressed harder, leaning back in my seat, using my whole leg to force the brake pedal toward the floor. My car sped toward the intersection. Other cars entered from the sides. I sailed into the intersection. Horns blared and brakes squealed around me. I passed within inches of two cars coming from each side. These use nearly the same words. The only differences are that in the second version I broke up some long sentences into short ones, and I use seven paragraphs instead of one. I think the second version captures more of the breathless panic that the narrator would be feeling. Take another look at your drama scenes, especially those at the end of a chapter. Can you make them stronger by breaking long paragraphs up into shorter ones? Play around before you make a final decision. Maybe putting each sentence in its own paragraph is going too far, giving the scene a choppy feel. Maybe you want to alternate between longer and shorter paragraphs, with a single word in the last paragraph. Try some variations and see what has the most impact. My guest today is Deby Fredericks, who contributed an essay to my writing book, Advanced Plotting. I don’t know about you, but I have some ornery first readers. They enjoy figuring things out before I reveal them. No matter how artful the red herrings and how obscure the clues, my husband and friends are constantly guessing the surprises. Since I pride myself on creating original stories instead of rehashing best-sellers, this stings. Does it mean I should keep my day job because all my ideas are lame and predictable? On the contrary. I take it as a challenge. If the first readers figure things out too quickly, that just means I need to bring more to the telling. Extra twists after the first one. Depth and meaning beyond the obvious. That way, even if they saw through my artifice, there was a reason for them to keep reading. So my husband knew right away that a supporting character in The Necromancer’s Bones was a ghost? That wasn’t as important as how he died. And my best friend could tell which prince was hiring the assassins in Too Many Princes? Well, she didn’t guess that the evil prince had been replaced by a doppelganger. In both cases, having someone see the man behind the curtain pushed me to try harder on my plot. I added additional surprises and brought more depth to the characters, all to out-wit my first readers. Ultimately, I wrote a better book. So as you work out your plot, remember there are readers out there who live for the thrill of guessing your surprises. Your job is to be sure there’s more to the story. 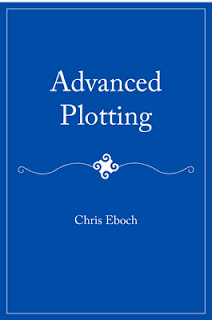 Get more essay like this one in Advanced Plotting, by Chris Eboch, along with a detailed explanation of the Plot Outline Exercise, a powerful tool to identify and fix plot weaknesses in your manuscripts. 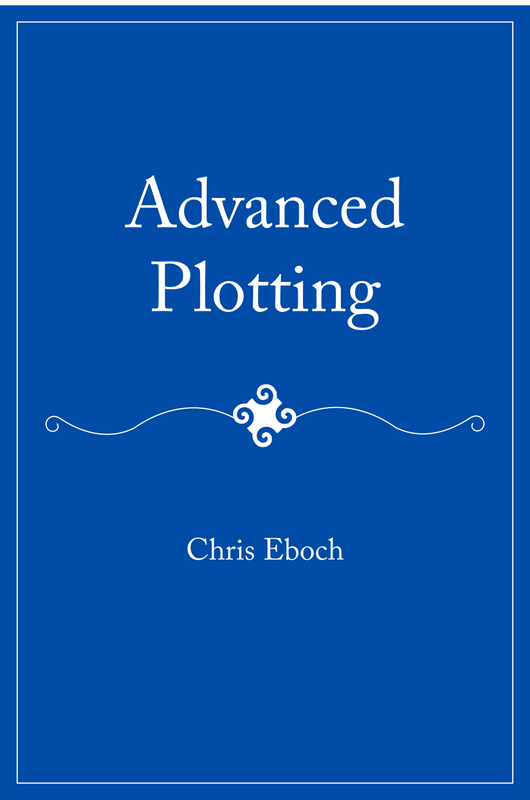 Buy Advanced Plotting for $9.99 in paperback on Amazon or as a $2.99 e-book on Amazon or Smashwords. If you've been following this blog for a while, you'll know I love cliffhangers and think they're underused. I've written about them before, but it's time to revisit the topic. 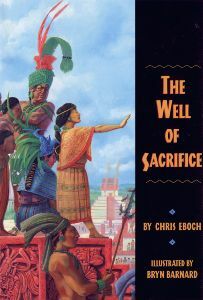 I have an essay on cliffhangers in my Advanced Plotting book, and I'm reprinting that here in three sections, for my regular Friday posts. I'll also be featuring guest authors from Advanced Plotting on Wednesdays. And of course, if you want the whole essay right now, you can get it in Advanced Plotting, along with lots of other good stuff to make your manuscripts stronger. 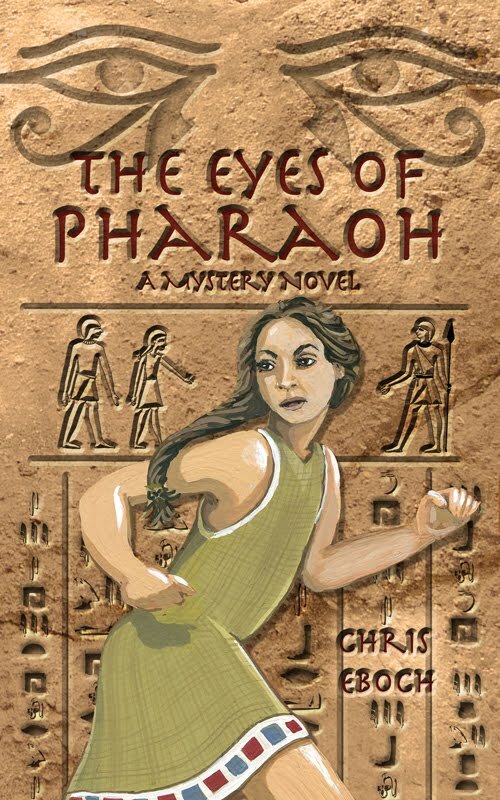 Several years ago I had the opportunity to ghostwrite a novel about a well-known girl sleuth. (You would recognize her name.) I knew the series used cliffhanger chapter endings. That seemed easy enough — find a dramatic moment and end the chapter. She’s noting the difference between suspense and surprise. When something happens suddenly and unexpectedly, that’s a surprise. For example, if you are walking down the street debating where to have lunch and something falls off a window ledge onto your head, you’ll be surprised (assuming you’re still conscious). But since the surprise came out of nowhere, it wasn’t suspenseful. When writing we may be tempted to keep secrets and then let them out — bang! But suspense comes from suspecting that something will happen and worrying about it or anticipating it. To build up truly dramatic cliffhanger chapter endings, give the reader clues that something bad — or excitingly good — is going to happen. Here’s an example from Haunted: The Ghost on the Stairs, a novel for ages 8 to 12. The narrator, Jon, isn’t sure he believes his little sister Tania when she says she can see ghosts, but goes with her to look for one as their stepfather films his ghost hunter TV show. At the top of the stairs, my stepfather stood in the glare of a spotlight, a few feet away from a camera. I took a step backward and tugged at Tania’s arm. No one had seen us yet, and we could still escape. Tania turned to me. The look in her eyes made my stomach flip. She didn’t back up. She swayed. I took a quick step forward and put my arm around her so she wouldn’t fall. I looked down into her face. I’d never seen anyone so white. White as death. Or white as a ghost. “Tania,” I hissed. I gave her a shake. She took a quick breath and dragged her eyes away from the staircase and to my face. The look in them made my stomach flip. The first thing you may notice is that the revised version is longer. To get the most out of dramatic moments, you actually slow the pace by using more detail. Focus on using sensory details with an emotional impact.